(Newser) – The man accused of having helped orchestrate some of the worst crimes committed by Moammar Gadhafi's regime has been extradited back to Libya, according to a Mauritanian government statement. 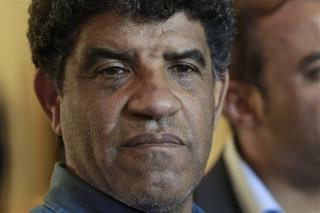 An unnamed official says Abdullah al-Senoussi, who ran Gadhafi's feared intelligence service, is bound for Tripoli. Libya, the International Criminal Court, as well as France had all asked to try the former intelligence chief, who is known as Gadhafi's "black box" because of his closeness to the ex-leader and his knowledge of the regime's alleged abuses. Was Tony Blair's number on his mobile? A picture speaks a thousand words. His face tells a thousands confessions. just shoot the s o b and save time and money!